Do you feel like you can never keep you phone charged while traveling? I know for us, it feels like a constant uphill battle, especially if we are talking on our phones or listening to music in our cars. Since we usually also have our GPS going, that is another device that needs charging, making it important that we manage power as much as possible during our drive. Luckily, we just recently found the perfect solution for those need to charge multiple device on long trips, the iClever 2 Port USB Car Charger! 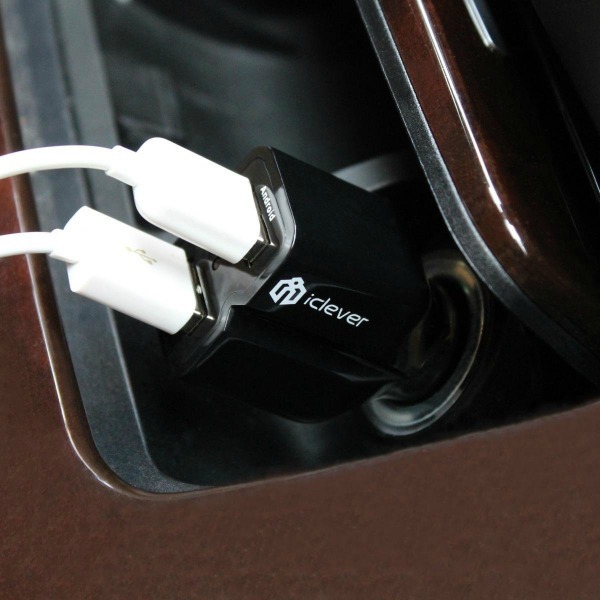 iClever 2 Port USB Car Charger: What Is it? Looking for an awesome quickly charge devices in your car? 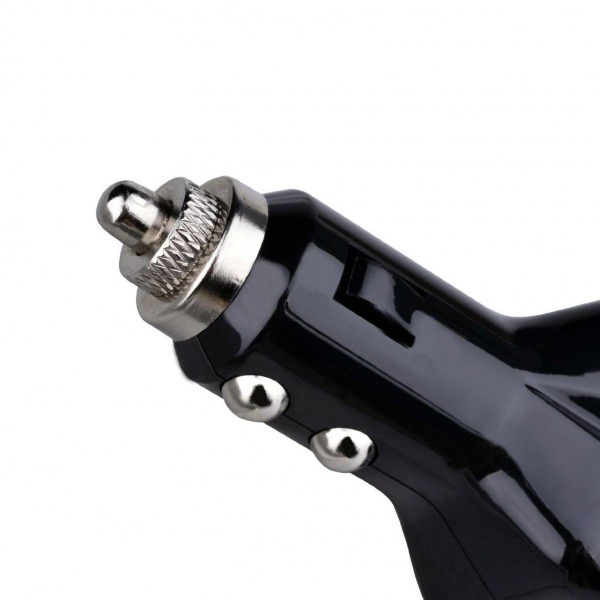 If so, we think you will love the iClever 2 Port USB Car Charger. This small charger is ideal for charging phones, tablets, and other devices that charge via USB. All you need for your car charger is cables and your device that needs charging! From what I have found, it is rare to find a car charger that supports USB charging. Finding one that allows you to charge two USB devices is even better! For us, this is fantastic when we are traveling since it allows us to charge both of our iPhones at the same time, or even our tablets. Since it uses standard USB, it really is great for anyone getting a new phone this holiday season. Want this charger for your own car? 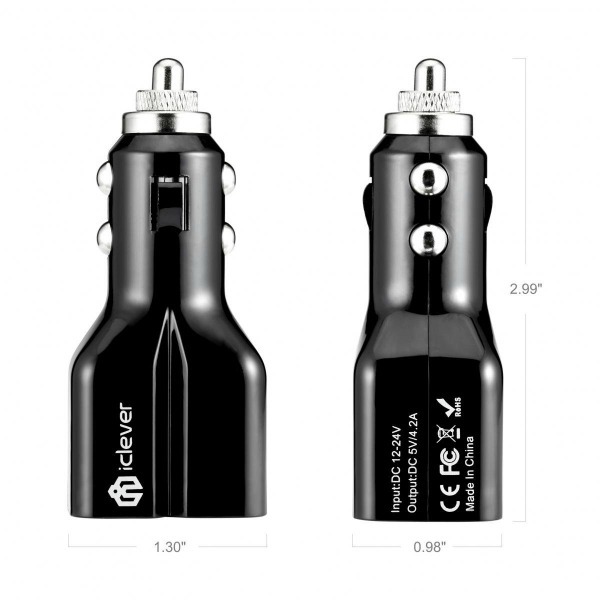 You buy the iClever 2 Port USB Car Charger on Amazon.com for $9.99. My daughter in law and I often take the grand girls on driving vacations. There is always something, or more than one something, to be charged. 2 IPhones, 2 IPads, etc.